I know, it's probably not the most appropriate timing but who knows, somehow, during this festive season, you are looking to buy something for someone and have no freaking idea (because we all know how gift-giving can be tough). 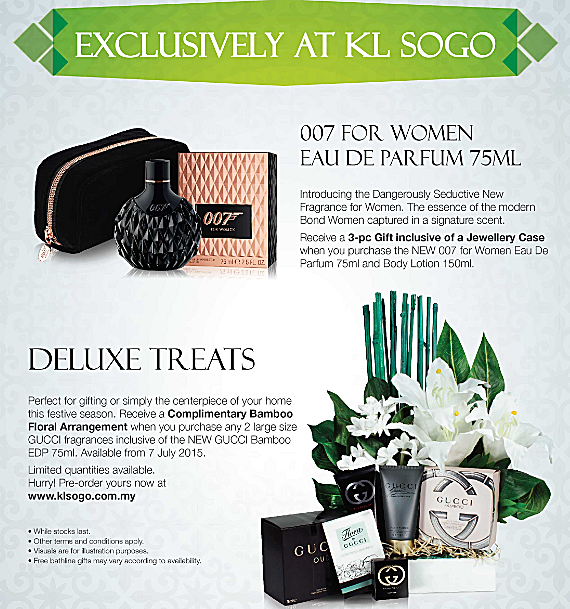 Well, you probably should check out KL SOGO Department Store for nifty gift sets like these, all ready without hassle. The latest female fragrance from GUCCI: GUCCI Bamboo EDP 75ml (Only in KL SOGO department store, pre-order online at www.klsogo.com.my is required as it's only available after 7 July 2015) However, GUCCI Bamboo EDP 75ml is now available at all Parkson Department Stores nationwide. 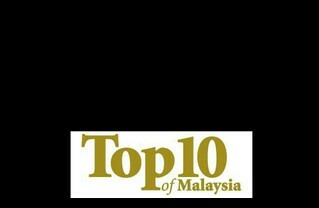 For more information, visit KL SOGO website at www.klsogo.com.my.